Check it out folks, our latest video review! Paul and Matt get together and chat about their thoughts on Klei Entertainments’ latest game: Mark of the Ninja. 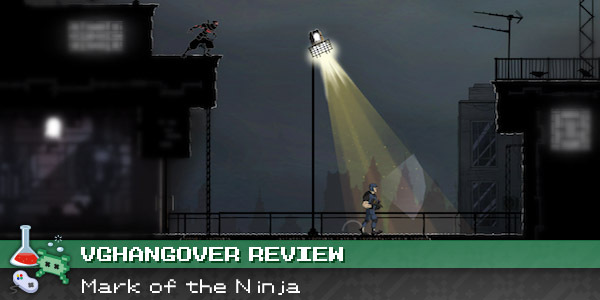 Mark of the Ninja was provided for review by Klei Entertainment. Story completed in approximately 7-8 hours. For more info on how VGH approaches game reviews, please read our reviews philosophy.